It is difficult sometimes when going through a crisis to realize all the help we are blessed with. Or, perhaps we are able to realize the help but aren’t able to express our gratitude sufficiently. I’m not a doctor or a counselor or a psychiatrist. 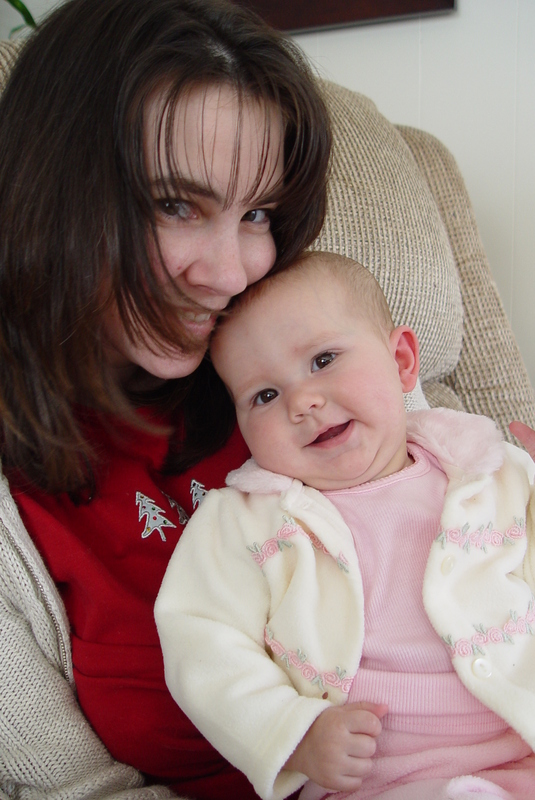 I am a mother who has suffered through postpartum issues and my suggestions are simply based on my experience. I am sure there are many other options and suggestions that could be made by others or found online. I don’t ever want to be seen as an expert in these issues. First, I would suggest being someone safe. Sometimes, I only felt comfortable at my mom and dad’s house. My mom let me sleep over several times, she drove me to stores, she came over and sat with me or sat with Grace. She listened without judgment and she was one of my biggest cheerleaders, supporting every new attempt at normalcy. She stepped in and changed diapers or made a bottle or rocked my baby girl to sleep. My mom was one of the reasons I believed I could pull through. Second, share your experience (or mine) to help the person know they’re not alone. If I was able to talk to someone who had experienced similar symptoms and saw that they came out the other side relatively unharmed, I had hope. Out of respect for their privacy, I won’t name all the beautiful mothers who shared their experiences with me while enduring my unending questions and conversations, but I am eternally grateful for them. Have the person talk to their doctor. I am so grateful for the team of doctors I had in my corner. They may not have had a solution, but they tried their best to get the help I needed and I appreciated their effort. After my second delivery, the doctor allowed me to stay an extra day in the hospital just to be sure I felt comfortable going home. She also set me up with a group called, “The Miami Project.” They would visit me at my home once a week for about six weeks after Micah was born. The woman who visited shared baby care tips, recipes and health suggestions. I looked forward to her visits and was grateful for the extra bit of help. Suggest seeing a counselor. I would like to think all counselors have been trained in this particular area, but I know they haven’t. My first counselor was extremely nice, loving and caring, but I didn’t feel like I was moving forward in my recovery. Call me a glutton for punishment, but I enjoy a challenge in psychology – it is what works for me. I need a counselor who won’t coddle but also won’t condemn. Of course, each person is different. Dovetailing off counseling, it’s possible a psychiatrist could help as well. My psychiatrist was assigned to me in the psychiatric hospital and I never changed because I trusted him. Like many in the mental health profession, he is often busy and overworked. He was trying to rush me through an appointment once and I stopped and said, “I need you to listen to me.” From that day on, he did. Either encourage the person to advocate for themselves or be an advocate for them. Sometimes I couldn’t express things for myself; Chris was great help in that area. Just be there. Sometimes, I just needed someone to be in the same room with me. No conversation, no chores, no expectations. Just knowing someone else was around was huge. Chris’ mom, as I mentioned, read scriptures to me while holding my hand and let me cry my heart out without skipping a beat. Friends came to see me in the hospital, a couple even brought huge planters with flowers. Friends came to see me at home and asked what they could do to help. I asked one friend, Dave, to visit with Chris. I felt horrible seeing everything he had to deal with, I wanted someone to be there for him since I wasn’t capable. Allow them to do what they can. There were times when I wished someone would come in and take care of it all for me. While it was true I needed help with the majority of things, there were some things I needed to do on my own to feel accomplished and significant. However, if a mom doesn’t feel comfortable or safe being alone with her baby, don’t force her. I reviewed this information with Chris and he added for spouses, don’t blame the mom. Postpartum issues are out of her control. If she could be different, she would, but don’t expect too much before she is ready. My sweet girl, I hope you know that none of this was your fault – in fact – there is no fault. We were all victims of the cards that life dealt us. The day you were born, I was ecstatic and complete. Sometime during that first night, we lost each other. I spent the next several weeks trying to get back to you. I had a lot of obstacles, but I refused to stop looking. You, my amazing Grace, were worth fighting for. Once I found you, I never let you go. I love you beyond words, beyond thoughts, beyond feelings.